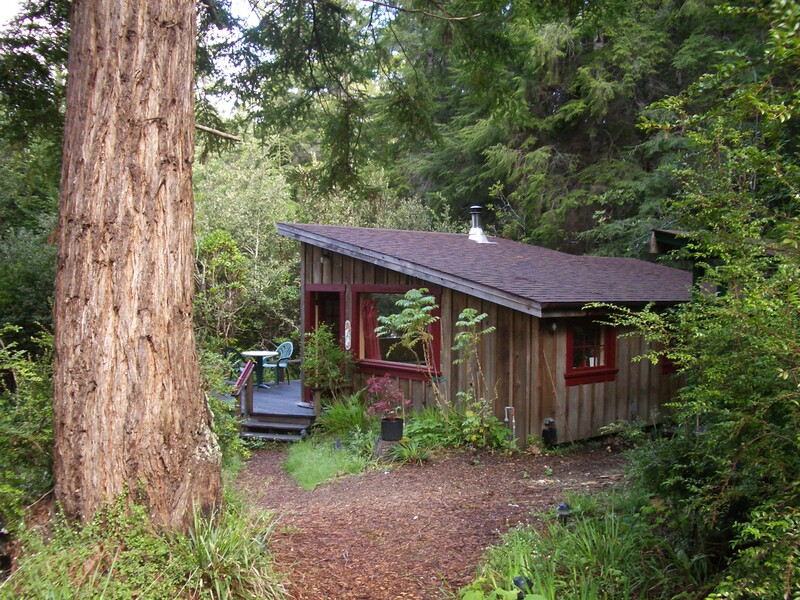 Welcome to our cozy cottages in the coastal Mendocino redwoods, the perfect place for a personal retreat or private getaway. 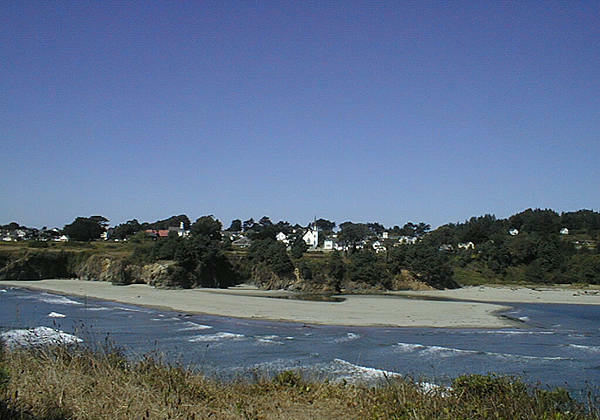 Mendocino is a romantic and historic village perched along the cliffs of northern California, surrounded by Big River Bay and the Pacific Ocean. We are just a seven minute drive east of Mendocino village, uniquely situated on the ridge above Big River in a magnificent redwood forest in the sun-belt, surrounded by Jackson State Forest and Big River State Park. In an easygoing and comfortable atmosphere, guests can relax in the fresh air, take walks in the forest, view sunset skies through the majestic redwoods, and enjoy reading, writing, artwork, and board games; dog-friendly and non-smoking. Big River Ridge Cottage: a large one room cottage with main room for sleeping, sitting, and dining; separate small kitchen; and bathroom with deep claw foot tub. Ames House: a one bedroom cottage with living room and large brick fireplace; adjoining kitchen and dining area; open loft; and bathroom with shower. Both cottages have gas heat and gas cooking stoves. Kitchens are stocked with basic cooking staples so you can stay tucked in on your first morning; supplies include milk, butter, yogurt, eggs, coffee, tea, juice, cereals, mustards and spices. 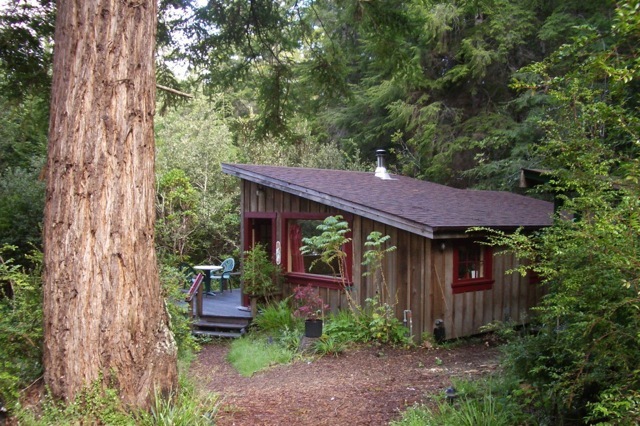 Cottages have decks, garden areas, and trails beginning on the property leading into the redwood and pygmy forests and down to Big River. The cottages are a short walk away from each other through the trees and lend themselves to being rented either separately or together. Each cottage sleeps 3 people. 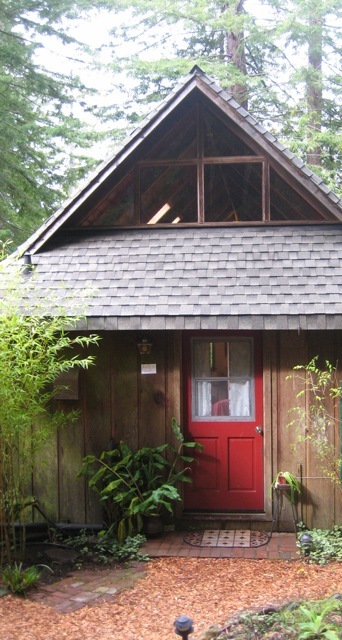 Our cottages are quiet, peaceful, private, non-smoking, and dog-friendly. Historic Mendocino Village has art galleries, fine shopping and dining, an independent bookstore, and offers many musical and theatrical events throughout the seasons including fanciful holiday festivities. Take classes year round at the Mendocino Art Center. Walk through the glorious color of the Mendocino Coast Botanical Gardens in all seasons. Experience the Mendocino Music Festival mid-July. Explore Fort Bragg, only twelve minutes north, for more galleries, bookstores, shopping, and dining. Especially, don’t miss the Noyo Harbor deep water commercial fishing docks, fresh fish markets, and canoe rentals on the Noyo River, one of the most beautiful, quiet, diverse rivers of all.